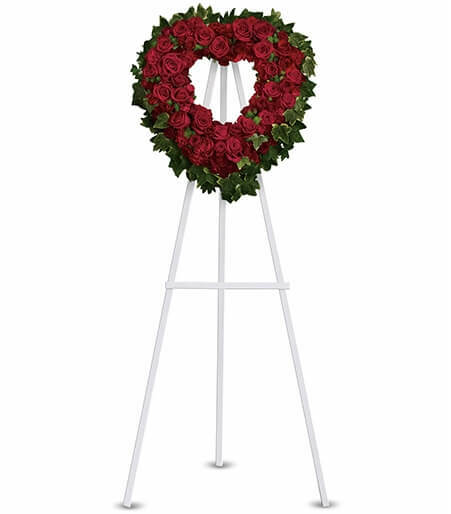 Funeral hearts are flower arrangements in the shape of a heart that are placed on an easel to display at funerals. The heart shape symbolizes your love for or your heartbreak over the loss. 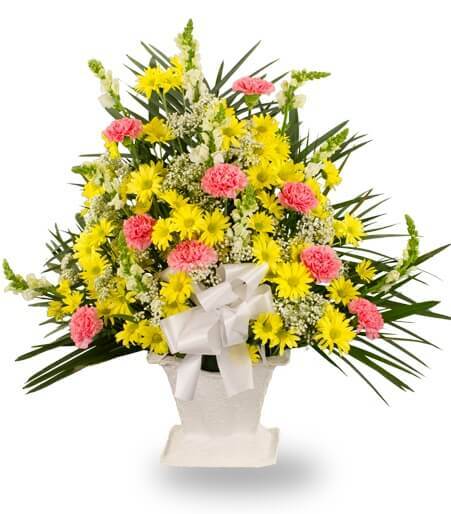 Arrangements like this are usually sent by family member, both immediate and extended, or by very close friends. Funeral hearts come in either open hearts or solid hearts. 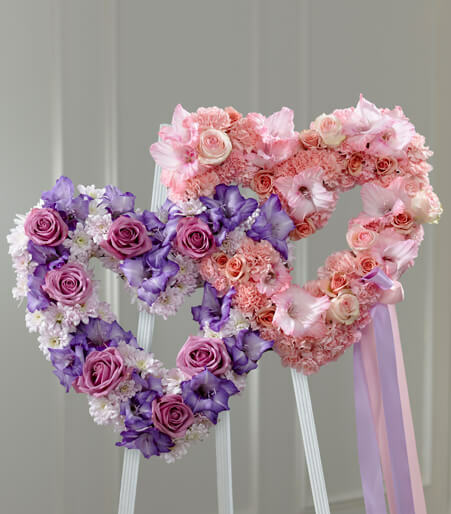 Open hearts are more like a wreath in the shape of a heart with the center open. While solid hearts are filled in the middle with flowers. 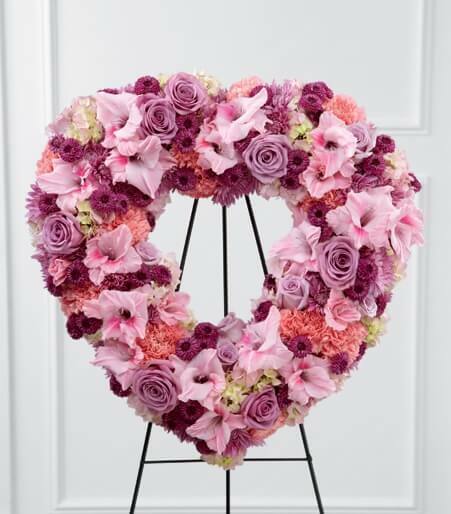 Sending a funeral hearts for women you may want to stick with feminine colors like pinks, lavenders or even whites. Luckily there are a wide variety of funeral flowers in these colors. 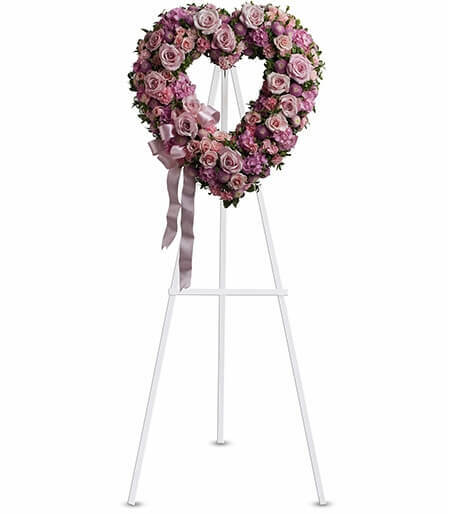 The Eternal Rest Standing Heart is a beautiful example of bright feminine colors. 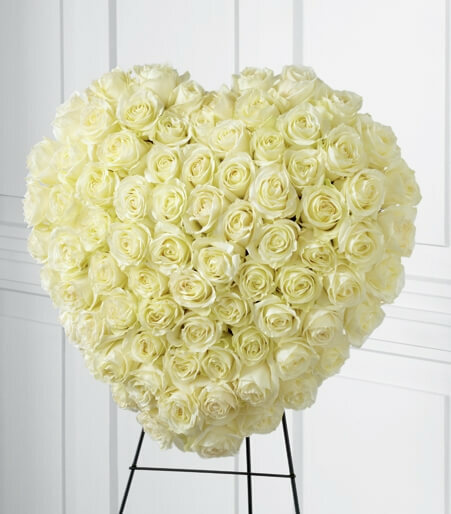 Or this stunningly elegant all white solid heart will honor the beautiful woman you lost. When sending for a funeral services for a man you will want to stay away from too many pinks and purples. The best option would be more masculine colors like reds, whites or even yellows. The Blessed Heart is a beautiful way show you heart has broken with the loss. 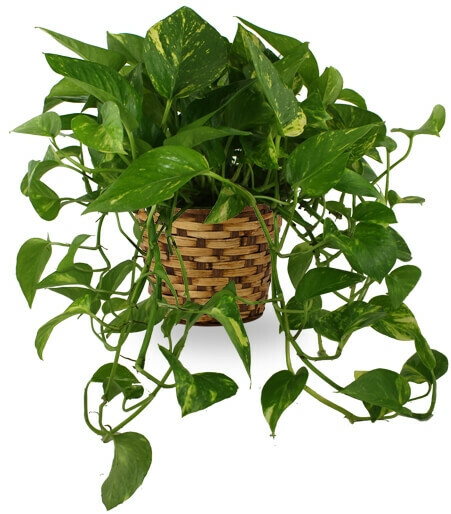 Or this yellow and green solid heart may be even better to say your final farewell. Losing someone is never easy but when it’s a child or an infant it’s completely unbearable. 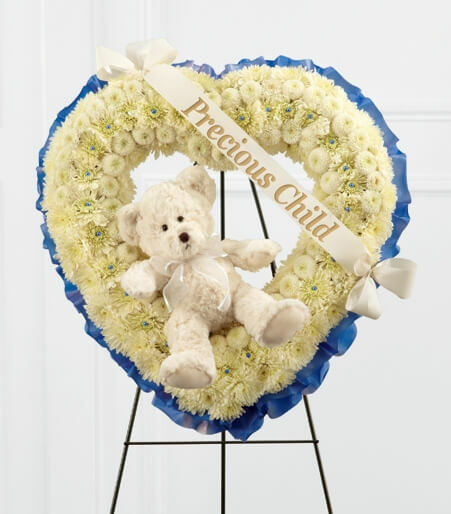 This wreath is a generous way so send your love and heart to the family especially if you’re close to them. 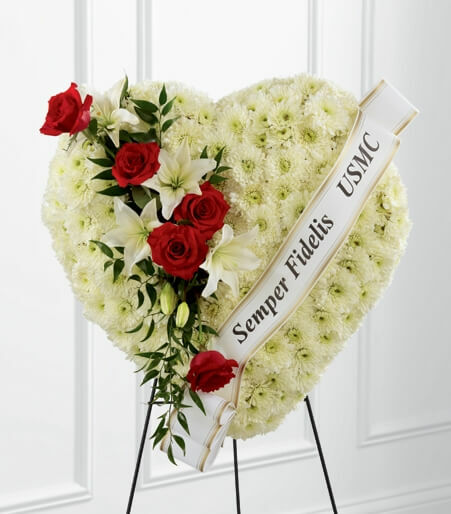 The Salute to a Patriot Standing Heart is a wonderful way to honor a fallen marine. 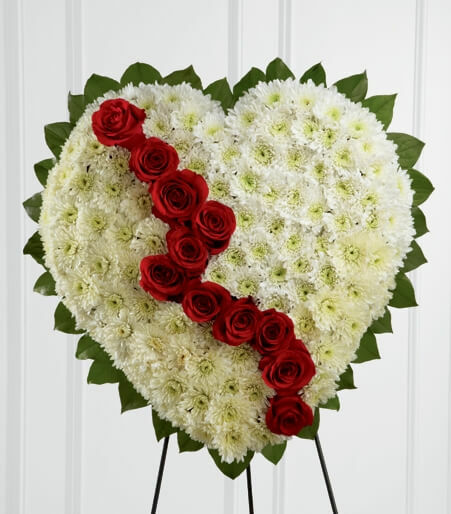 The cascade of red and white flowers will symbolize honor and heartbreak.